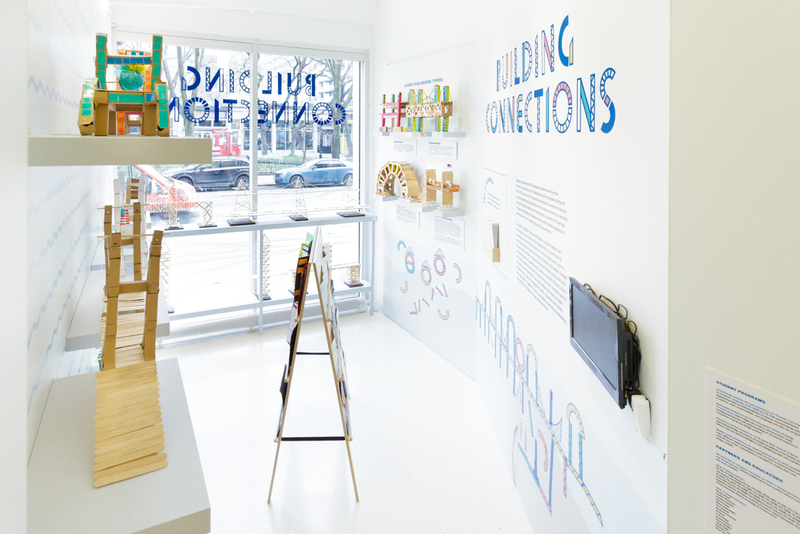 Center for Architecture invited us to design an exhibition for their 2017 Student Program, Building Connections. 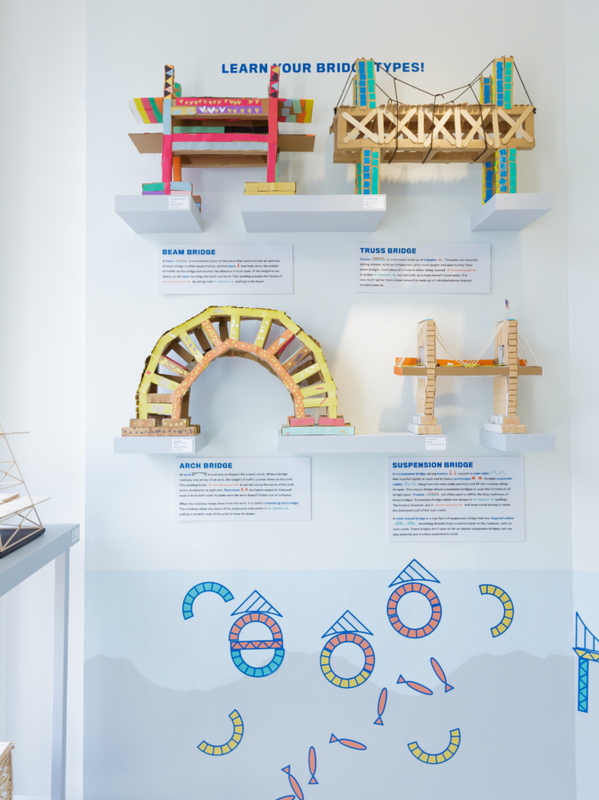 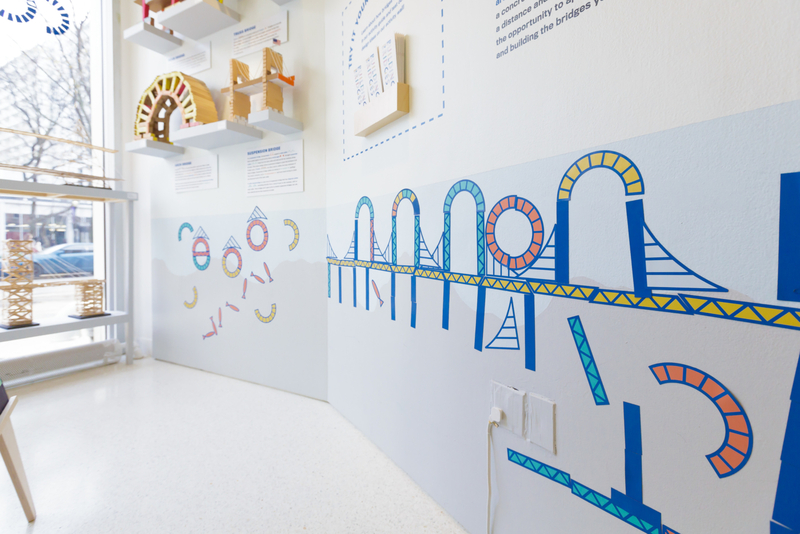 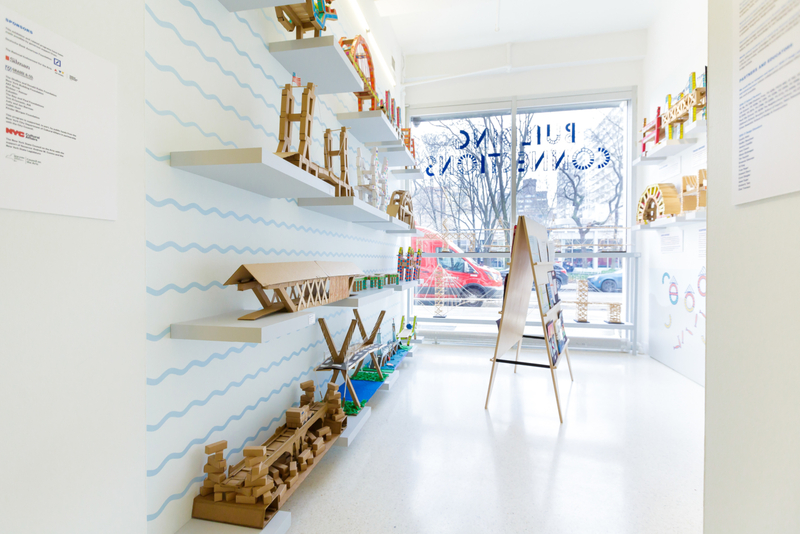 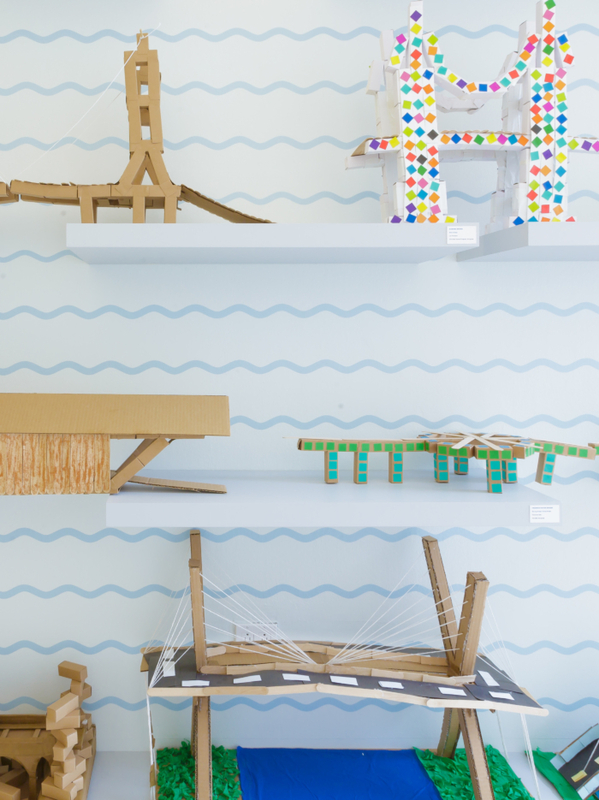 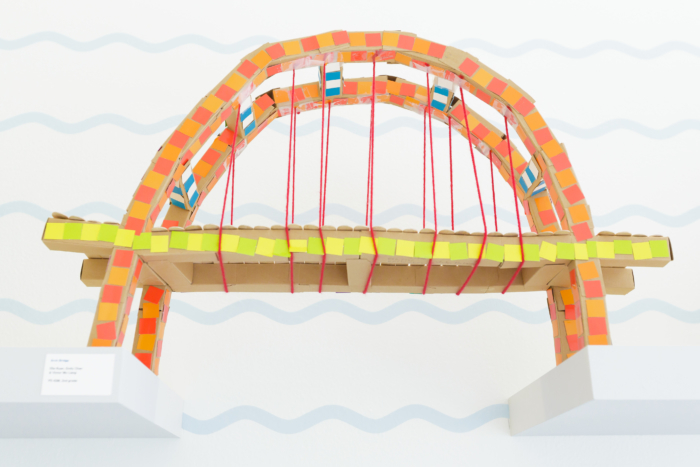 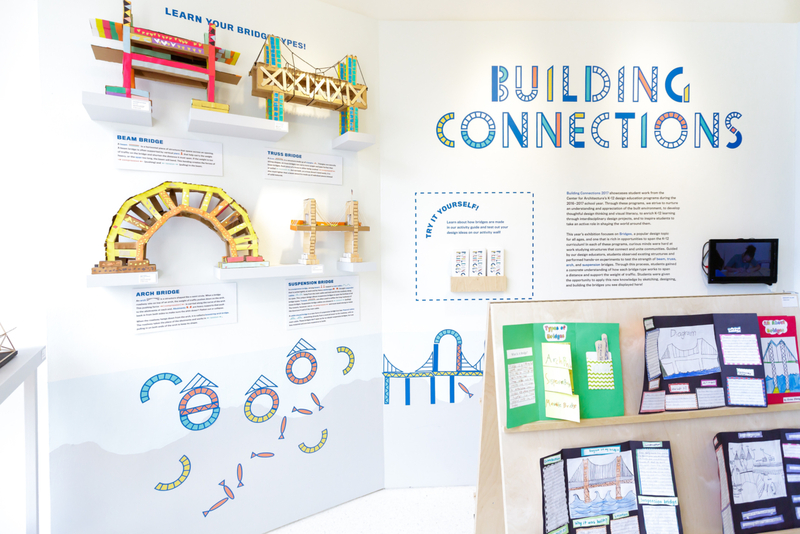 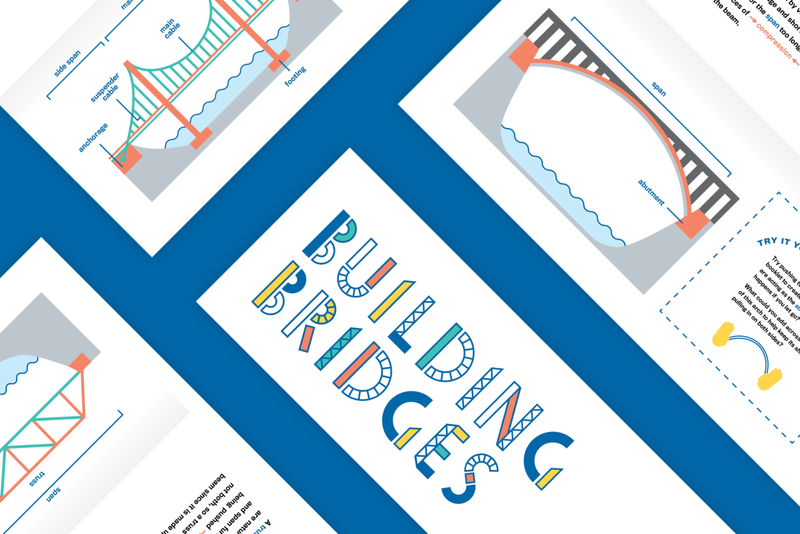 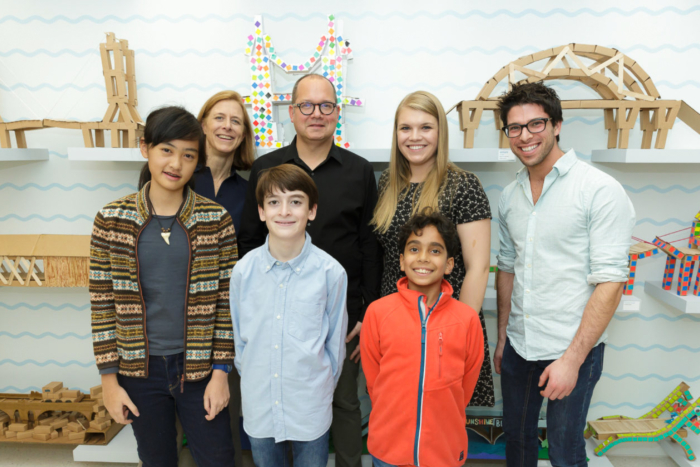 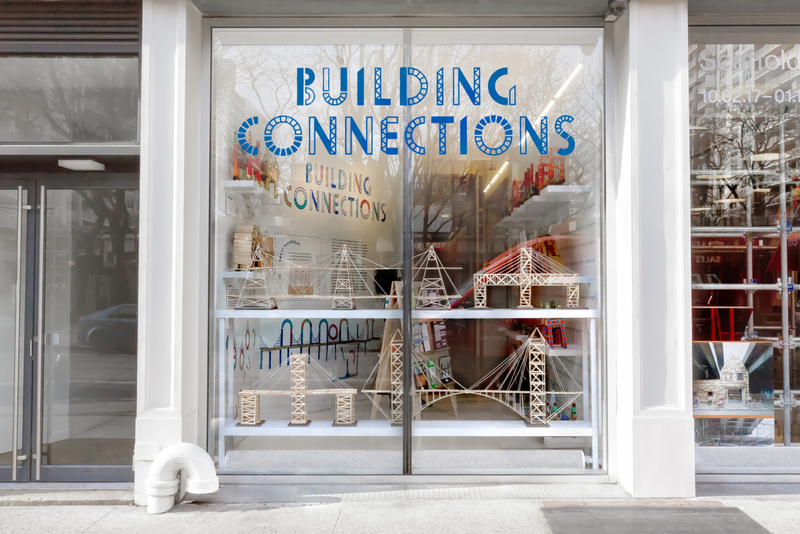 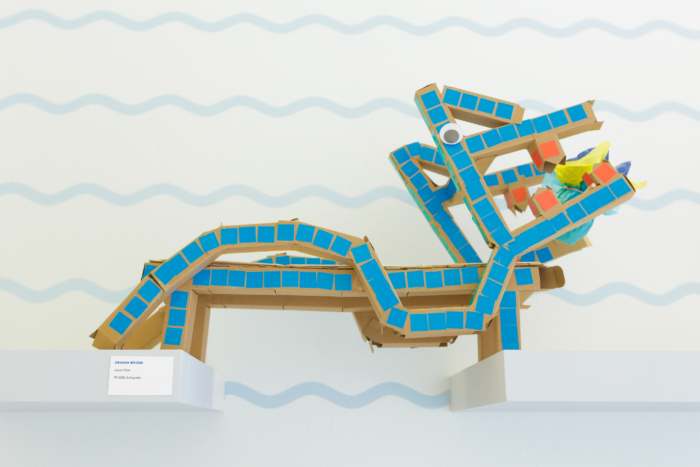 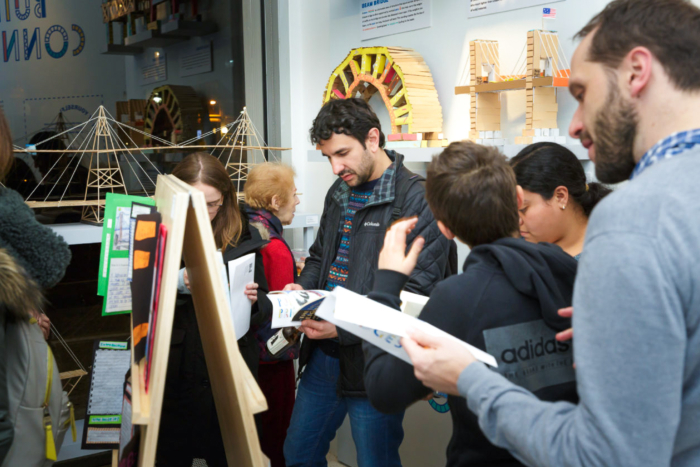 The class taught K-12 students in New York City about the physics and architecture of modern bridges, inviting them to design and build their own handmade models. 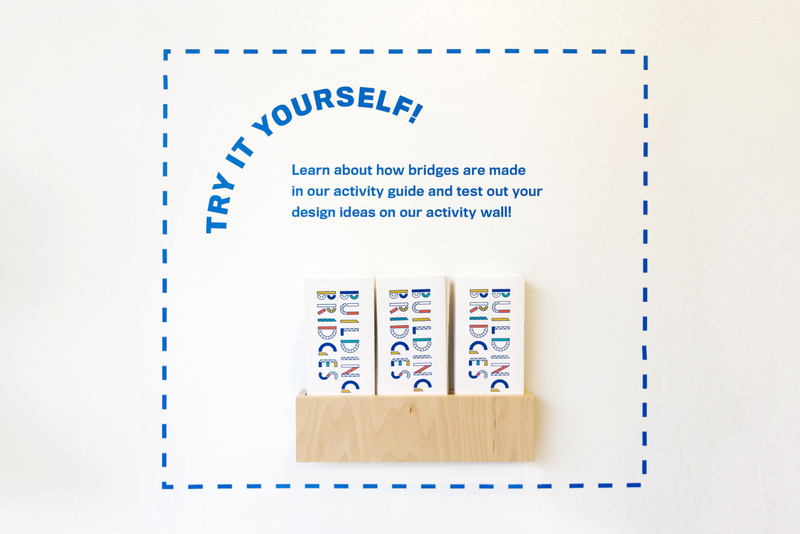 Our work included a custom identity system, activity guide, spatial plan, environmental signage, and unique shelving system for the gallery. 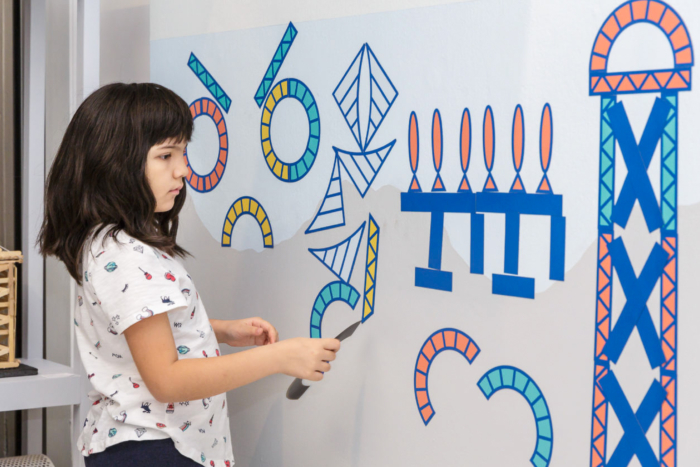 Our identity consisted of a bespoke typographic wordmark, with each letterform echoing the abstracted geometry and playful exuberance of the kids' constructions. 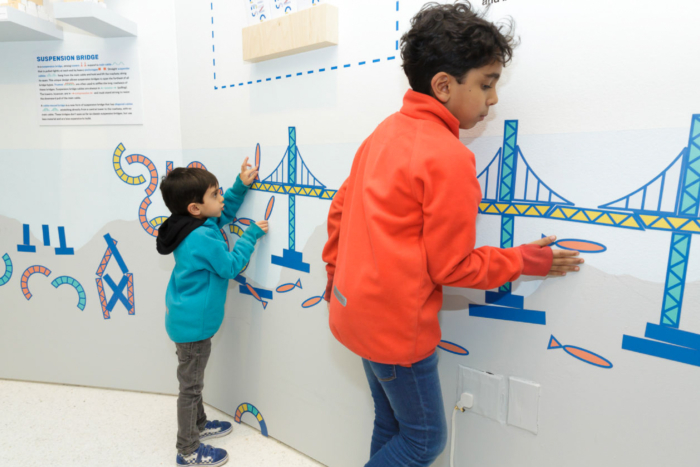 We transformed these shapes into magnets for visitors to assemble on a wall within the space, providing a hands-on activity.